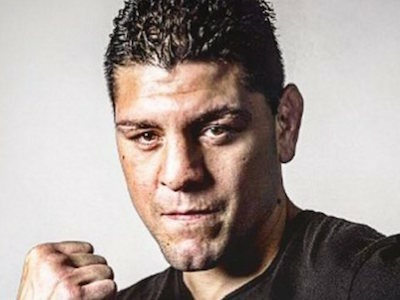 Nick Diaz was arrested for an alleged domestic battery incident in Las Vegas last week. What happened in the apartment isn’t clear because people with information about it have been tight lipped or have varying accounts. MMA Insight is reporting that Diaz’s on again off again girlfriend found out he was sleeping around and confronted him. She admits to throwing a glass of water in Nick’s face, which we highly recommend no one do by the way. Then, she claims in an official police document that Nick “grabbed her by the head and slammed her to the ground, hitting her head against the floor”. She also claims Nick choked for a half a minute and then tried to throw her in to the swimming pool during which she hit her hip on the edge. The one supporting factor for all of this is the way police on the scene described her injuries as ‘severe’. If this is true we may never see Nick in the UFC again given their zero tolerance policy on domestic violence.